toast and snacks during the trip. 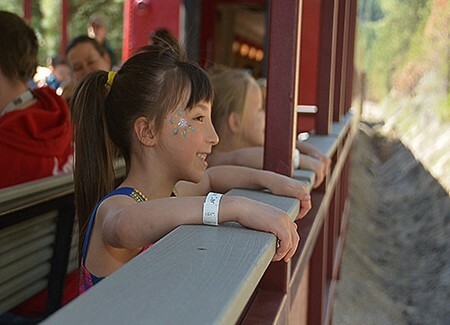 The history of the Thunder Mountain Line dates back to more than a century ago. The prospects for the railroad were originally to serve the Thunder Mountain Mining District, which was full of gold and ore. The current roads could not handle the incoming freight for these areas. Prospectors were filling the Long Valley area as mining districts and camps were forming. Gold fever soon spread and an entrepreneur named Colonel W. Dewey formed a railroad syndicate due to the suspected wealth in the areas. Railroad tycoons were at war for a route to the Pacific Northwest and West Coast to gain control of the region for their railroads. The three tycoons at war were James Jerome Hill (who just completed the Great Northern, had control of the Northern Pacific, the Chicago and Northwestern, and the Burlington), Edward Harriman (who controlled the Union Pacific), and Jay Gould (who had control of the Rio Grande and Missouri). 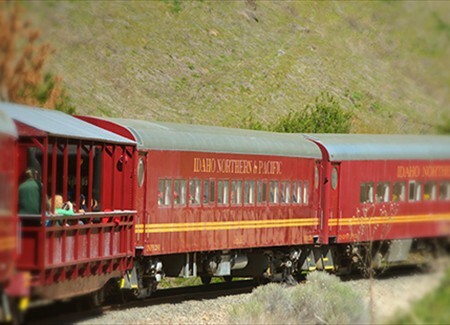 The Idaho Northern was incorporated on December 18, 1897 by Colonel Dewey and presumed later to be in the camp of the Union Pacific. 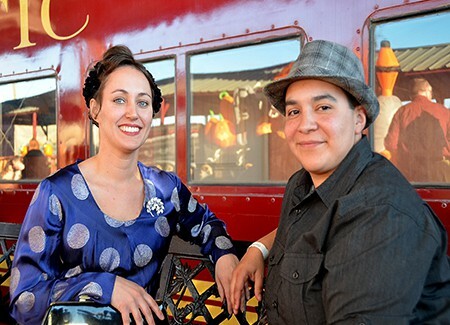 The chartered railroad was expected to reach as far south as Paradise Valley, Nevada, as far north as Spokane, Washington, as far east as Butte, Montana, and as far west as Williamette Valley in Oregon. The railroad surveyed and completed tracks into Emmett on March 29, 1902. The Idaho Northern's claims north of Emmett had expired in 1906 and the Chicago Northwestern jumped in and filed claims down the Salmon, Boise and South Fork of the Payette Rivers. Control of the Chicago Northwestern had swung from Hill to Harriman and back to Hill. Harriman passed away and when the C&NW's claims ran out in 1910, a new war began between Frederick Weyerhauser (a close friend of Harriman) and Hill. Weyerhauser owned huge tracts of land along the Payette and Boise River and it became obvious railroads were needed due to the costs of driving logs down the river. The Union Pacific counter claimed everything the C&NW had claimed in 1906. Surveying began in 1910 to an area outside of McCall and grading was finished to Banks by April 1912. The railroad had hired 2,500 men to assist in the grading and building of the railroad. The railroad was built to Smiths Ferry on July 10, 1913 and an inaugural run was made in August 1913 and regular service began later that month from Nampa. 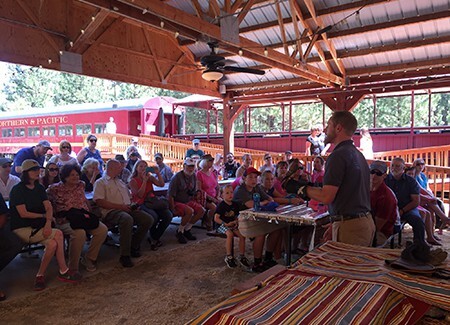 The railroad was completed on July 1914 with regular service beginning to McCall on Mondays, Wednesdays, and Fridays. The trains were mixed with freight, mail, and passengers. Many people were excited to have access to the mountain lakes and rivers for their vacations. Small towns and depots were established along the railroad tracks to support the local timber industry. 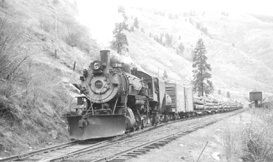 Smaller logging railroads reached into the rich timber valleys and connected with Idaho Northern's main line. The Union Pacific operated this branch line as part of their Oregon Short Line Division until the Idaho Northern and Pacific Railroad purchased the railroad in 1993. Until recently, the railroad had continued to be supported by the timber industry. © 2003 Thunder Mountain Line • Problems with this website? Em ail Web Master.